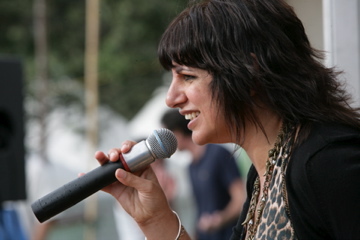 Since 1995 Union, featuring the amazing vocals of Leza Corban, have been one of Auckland’s most sought after bands. Their mix of everyone’s retro favourites, lively delivery and utmost professionalism have seen Union become the darlings of the corporate crowd. Leza has an inimitable knack for enticing the most reluctant of partygoers onto the dancefloor. 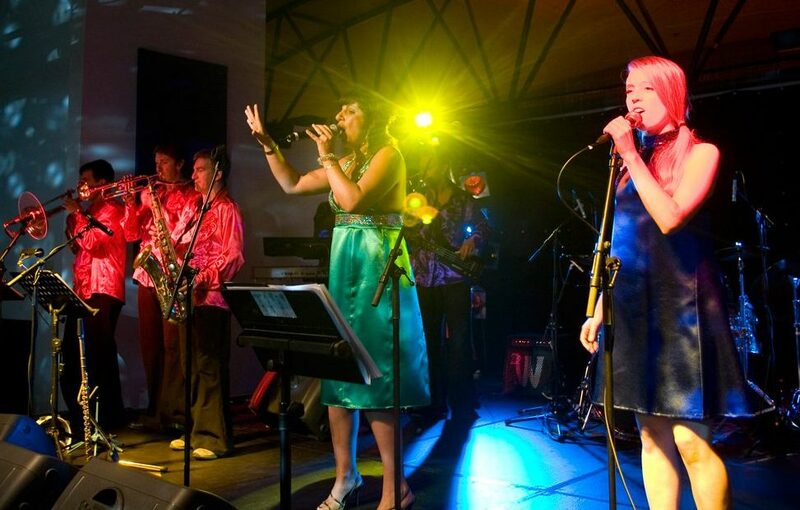 Their upbeat repertoire of motown, 70’s, 80’s and popular dance hits is a winning combination. Leza has gathered together some of the country’s most sought after and polished musicians in a partnership that has flourished and got more exciting over the years. You may recognise Leza from her work with the Strawpeople as the vocalist on the APRA Silver Scroll winning Sweet Disorder, as well as many television appearances, three Christmas in the Park shows and two Symphony under the Stars concerts. She has sung with Renee Geyer and the Auckland Philharmonia as well as many of our country’s top musicians like Debbie Harwood, Eddie Raynor, Graham Brazier and Tina Cross to name a few. The newest band member, all the way from Sweden, is Caroline Lekstrom, who exploded onto the NZ scene with her stunning appearance as Shakira on TV One’s Stars in their Eyes. She hides a gutsy vocal power in a petite package. With Karl Benton on keys, Richard Murray on bass, Karl Burkhardt on guitar and Ryan Monga on drums Union creates a musical style that is hard to beat. When Leza has added horns, percussion and guest vocalists to expand the experience, then you have something very special on your hands! How refreshing it is to dance to really great songs played live by really great musicians. Union have been the choice of the city’s top event coordinators, headlining at the huge Louis Vuitton opening party for 4000 guests, and at the exclusive prizegiving ceremony for Oracle and Alinghi. They have been flown to Tonga to play for the then Crown Prince and to Fiji to perform at a national event. Union’s clients are many and varied, from fundraisers to huge corporate bashes to society weddings and birthday celebrations for captains of industry. Many clients book Union year after year just so they can be sure their party will be memorable. 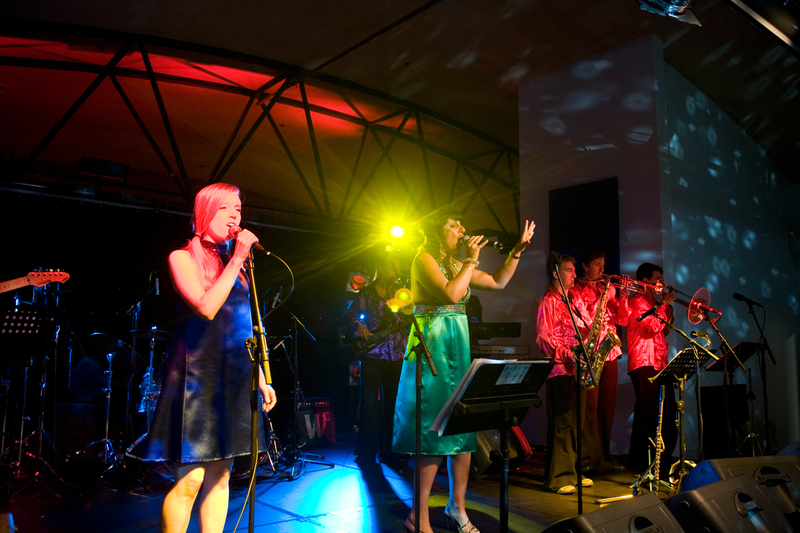 Leza’s utmost professionalism and the band’s love of performing will ensure your function will be THE one to remember.